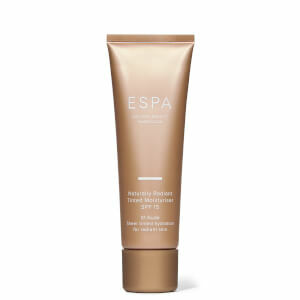 Treat dull, tired complexions to ESPA's Brightening Collection; a skincare trio that work in tandem to cleanse, polish and moisturise, whilst renewing radiance and improving the skin's overall appearance. A three-in-one formula that delivers the benefits of a cleanser, exfoliator and mask. Utilising Jojoba Spheres and Pumpkin Enzymes, the effective formula expertly buffs away dead, dull skin cells and impurities to reveal a smoother, more refined complexion. A dose of Moringa Seed Extract promotes a radiant, healthy-looking glow. Reignite a fresh, dewy glow with the skin-brightening face mask; a luxurious formula that works to improve skin tone and texture. Suitable for all skin types, especially dull or tired skin, Pumpkin Enzymes gently dissolve dead cells and impurities, whilst a radiance-reviving blend of Mulberry, Bearberry and Liquorice smoothen and refine. Ideal for dull, lack-lustre skin, the lightweight, quick-absorbing formula helps to combat uneven tone and texture for a smoother, more refined complexion. Harnessing the powers of Mulberry, Liquorice and Hawaiian Algae, the replenishing moisturiser leaves skin looking radiant and luminous with restored vitality. Moisturiser: Water (Aqua), Methyl Glucose Sesquistearate, Prunus Armeniaca (Apricot) Kernel Oil, Squalane, Citrullus Lanatus (Watermelon) Seed Oil, Oenothera Biennis (Evening Primrose) Oil, Glycerin, Butylene Glycol, Hamamelis Virginiana (Witch Hazel) Water, Sorbitol, Glyceryl Stearate SE, Sclerotium Gum, Sodium PCA, Caprylic/Capric Triglyceride, Phenoxyethanol, Stearyl Alcohol, Citrus Nobilis (Mandarin Orange) Oil, Tocopherol, C12-16 Alcohols, Honey (Mel) Extract, Limonene, Sodium Lactate, Helianthus Annuus (Sunflower) Seed Oil, Lactic Acid, Alcohol Denat., Palmitic Acid, Spiraea Ulmaria Root Extract, Lecithin, Sodium Hydroxide, Alcohol, Arctostaphylos Uva-Ursi Leaf Extract, Citrus Grandis (Grapefruit) Fruit Extract, Glycyrrhiza Glabra (Licorice) Root Extract, Morus Bombycis Root Extract, Scutellaria Baicalensis Root Extract, Benzoic Acid, Crithmum Maritimum Extract, Cananga Odorata Flower Oil, Geraniol, Cymbopogon Martini Oil, Pelargonium Graveolens Flower Oil, Dehydroacetic Acid, Malic Acid, Phytic Acid, Linalool, Sodium Hyaluronate, Citronellol, Caprylyl Glycol, Potassium Sorbate, Sodium Benzoate, Chondrus Crispus Extract, Ethylhexylglycerin, Benzyl Benzoate, Farnesol, Benzyl Salicylate, Citral. 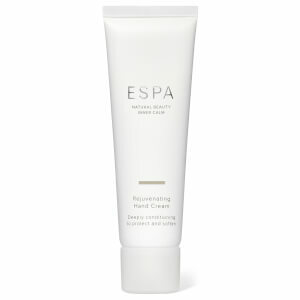 Cleanser: Use daily, smoothing a small amount over face, neck and décolleté. Moisten with warm water and massage lightly in circular movements until the Jojoba spheres melt, then rinse thoroughly. Mask: Smooth generously over face, neck and décolleté. Relax for 10-15 minutes before rinsing away with warm water. Moisturiser: After cleansing and toning, apply to fingertips and press gently onto face, neck and décolleté. Use light upward strokes until fully absorbed. Apply morning and evening.